Dr. Milton Conley is a well-known general surgeon in Palm Springs, California. He received his medical degree from University of North Carolina School of Medicine at Chapel Hill in 1984. After getting his medical degree, he did an internship at New Hanover Regional Medical Center. Dr. Conley completed his medical education with a residency in general surgery at New York Methodist Hospital and a fellowship in vascular surgery at Baylor College of Medicine. He is certified by the American Board in surgery and vascular surgery. His subspecialties are general surgery and vascular surgery. 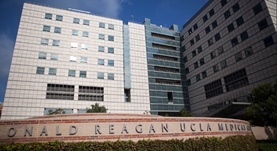 Dr. Conley works in several hospitals in the area, including Ronald Reagan UCLA Medical Center and is a member of the American College of Surgeons.